Enter the clues (or questions) for all of your words. 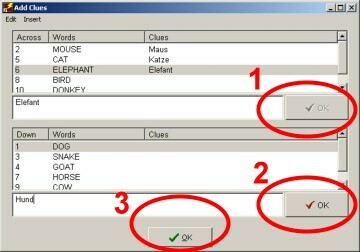 Click the OK button on the left after each clue. When you are finished, click the OK button at the bottom of the screen.